Since new information is coming out about the safety of frequently used medications, pharmacists need to review this information with regard to previously published information and discuss how to apply the new information to the current patient population. Vitamins and supplements are typically considered nonessential medications in hospice care and promptly discontinued. This educational activity will review new evidence suggesting that vitamin D may have significant health benefits for hospice patients, potentially leading clinicians to reconsider what constitutes a necessary medication. This CE activity will be presented as an online Live activity. The disclosure policies of the SIUE School of Pharmacy Office of Continuing Professional Education requires all persons in a position to control content to disclose any relevant financial relationships with commercial interests. If a conflict is identified, the Office of Professional Continuing Education will initiate a process for resolving the conflict. The existence of relationships does not necessarily imply bias or lessen the value of the activity. All educational materials are reviewed for fair balance, scientific objectivity of studies reported, and levels of evidence. The persons required to disclose conflicts include all course faculty, the SIUE CPE administrator, all activity planners and all reviewers. The relevant commercial financial relationships or affiliations must have occured over the past 12 months. Southern Illinois University Edwardsville School of Pharmacy is accredited by the Accreditation Council for Pharmacy Education as a provider of continuing pharmacy education. The participant must provide the correct NABP ePID number/DOB combination in their electronic profile. All CPE evaluations must be completed within 60 days of completing the activity. It is the participant's responsibility to check that their credit records are correct within the 60 day period after completion of the activity. Log in to CPE Monitor at www.mycpemonitor.net to view a list of all ACPE-accredited activities you have taken. Any discrepancies must be resolved with the CPE Provider directly and in a timely manner. Proof of participation will be posted to your NABP CPE profile within 2 to 6 weeks to participants who have successfully completed all requirements. To share the results of recent studies demonstrating significant health benefits for the use of vitamin D in hospice patients, influencing participants to rethink their current prescribing practices for this population. Open discussion with participants during the second half of the presentation to determine if this evidence will lead to changes in prescribing practices. Summarize a recent study evaluating the use of vitamin D in the hospice/palliative care population. Evaluate the risks and benefits of vitamin D continuation in the hospice/palliative care population. Discuss strategies for streamlining medications in the hospice/palliative care population. Brief Bio : Gary Houchard is a Clinical Pharmacy Specialist in Palliative Medicine at The Ohio State University Wexner Medical Center – James Cancer Hospital. He rotates between the inpatient palliative consult service and the benign hematology service. Gary received his PharmD from the University of Michigan in Ann Arbor. 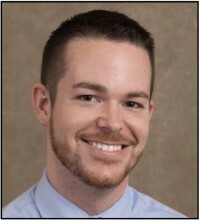 He completed a PGY-1 pharmacy practice residency at Sarasota Memorial Hospital in Sarasota, Florida, followed by a PGY-2 residency in pain management and palliative care at the Ohio State University. Disclosure : Gary Houchard has completed and submitted the SIUE School of Pharmacy Continuing Pharmacy Education Form for Disclosure of Potential Conflicts of Interest and none were reported. 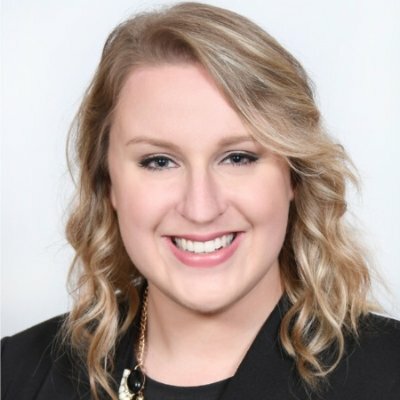 Brief Bio : Tiffany Kneuss, PharmD, completed her PGY1 residency training at Aultman Hospital and is currently a PGY2 Pain Management and Palliative Care Pharmacy Resident at The Ohio State University & Optum Hospice Pharmacy Services. She earned her PharmD from Ohio Northern University. Her professional interests include chronic pain management (malignant and non-malignant), inpatient palliative care, and hospice care. Disclosure : Tiffany Kneuss has completed and submitted the SIUE School of Pharmacy Continuing Pharmacy Education Form for Disclosure of Potential Conflicts of Interest and none were reported.